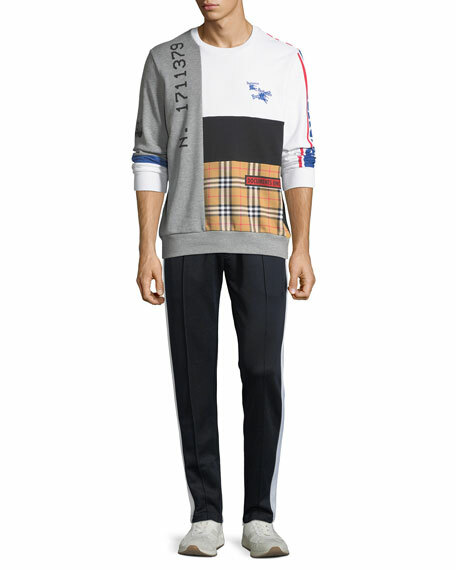 Burberry sweatpants with contrast side-stripe. Side slip and back zip pockets. For in-store inquiries, use sku #2624516.